This international symposium will be held during Cowra’s annual Festival of International Understanding (March 6-16, 2014) in Cowra, NSW. About 200 graves of the Japanese internees who died during the Pacific War are now located in the Cowra Japanese Cemetery. Participants will learn about civilian internment in Australia during WW2, a less well-known part of Australian history. It will be of interest to both researchers and non-researchers, as well as former internees and their families, who will share their life stories. Historians, creative writers, artists and members of the local community where internment camps were built will tell us how they have maintained and developed the legacy of the wartime camps as part of their community heritage. The organisers of this symposium hope it will expand our understanding of the consequences and legacy of internment inflicted upon all nationalities, and re-examine the impact of war and conflict to civilian population. Participants will not only come from within Australia, but also Japan and New Caledonia. 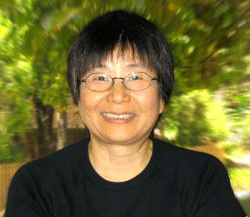 Yuriko Nagata is an honorary research senior fellow in the School Languages and Comparative Cultural Studies, the University of Queensland. She researches and publishes locally and internationally in two areas – Japanese diasporic experiences in Australia and pedagogy on teaching Japanese as a foreign language. Her major publications include Unwanted Aliens: Japanese Internment in Australia During WW2(1996), UQ Press and its Japanese edition (2002) Kobunken, Tokyo; an edited book with Shnukal, A. and Ramsay, G., Navigating boundaries: The Asian Diaspora in Torres Straits (2004), Pandanus, Australian National Unviersity; Voices from Japan (2009) by Kurosio Publishers, and many other journal articles and book chapters. Unwanted Aliens has been used as one of the key reference sources not only for researchers, but also for former internees and their descendants with information. She is expanding research sites to include other Asia-Pacific regions with a view to work with other researchers who are writing on the Japanese Diaspora in the region. 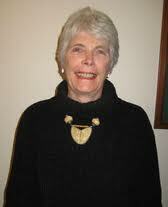 Jan Lingard is a former lecturer in Indonesian at the Australian National University and at the University of Sydney.She has published several collections of translations of Indonesian literature and has won the Victorian Premier’s Literary Award for Literary Translation. This was for a collection of short stories entitled Eye Witness, by Indonesian author Seno Gumira Ajidarmo. She is the author of Refugees and Rebels: Indonesian Exiles in Wartime Australia. Pre symposium dinner with guest speaker Professor Bill Gammage on his award-winning book the Biggest Estate on Earth, on March 6. Photographic exhibition EVIDENCE: The fate of an Okinawan internee in New Caledonia by Mutsumi Tsuda at Cowra Japanese Gardens and Cultural Centre. It tells a story about a Japanese-Kanak family broken up by the war. Shuttle Bus Service: Sydney – Cowra- Sydney $65 for one way per person. See registration from for further details. This project is supported through funding from the Australian Government’s Your Community Heritage Program.